Natural disasters can happen anywhere at any time. And they can occur in the same place more than once within days (remember the recent tornadoes that ripped through Oklahoma). Think again if you believe that Southcentral PA is immune to tornadoes, earthquakes, hurricanes, blizzards and wildfires. 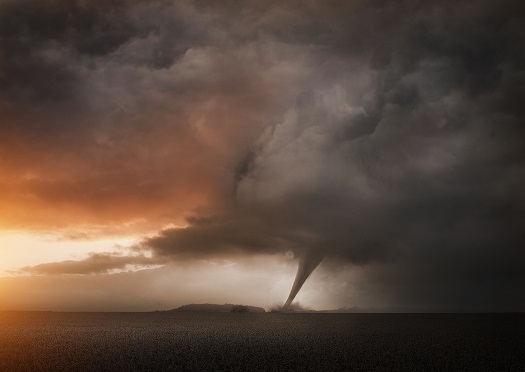 Members 1st Insurance Services is encouraging you take a good look at your insurance coverage to make sure you’ve done some fundamental planning that could save you, your loved ones, or your business a lot of headaches should Mother Nature decide to stir things up. 1. Do you have adequate insurance if something were to happen to you, your family or your property? Is there enough money to cover bills, any medical expenses, funeral expenses and more? 2. If you have a business, is it properly insured if a natural disaster hits your area? 3. What’s the process if you need to file a claim? If a catastrophe hits your area, is that process different? 4. Are your policies up-to-date? Member 1st Insurance Services offers an annual review to make sure your home, life, auto insurance, or business keeps up with the changes in your life. 5. Keep your agent informed if you’ve remodeled your home or added another room or basement. This helps to ensure your home owners insurance protects your entire home. It’s a good idea to also take photos of your home (inside/outside) and every room and its contents so you know exactly what it is you have. Keep a CD of your photos in a safe deposit box or other secured location where it will be protected. A picture inventory is a great way to keep track of your belongings. You may also want to consider having your home reappraised to get a better idea of its value. 6. Ask your agent how deductibles work after a catastrophe. 7. Think about valuable items insurance – taking out extra insurance at a nominal cost for special items such as expensive cameras, musical instruments, computers, engagement rings, artwork and furs. 8. Flood insurance is different from homeowners insurance. Homeowners insurance does not include natural disaster protection to cover floods. Flood insurance is a separate type of insurance that may be purchased to protect you from losses due to flooding. 9. Do you have a natural disaster plan for your home or business? Talk to your agent and ask for tips. 10. Do you rent? Hopefully you’ve purchased renters insurance and if you haven’t, we strongly encourage it. Your landlord’s insurance doesn’t project your personal belongings. Ask your agent how renters insurance works after a disaster hits. A natural disaster can happen anywhere not just within the confines of a certain geographic location. It takes about an hour to meet with an agent to discuss these issues. Members 1st Insurance Services is here to help you. We offer a free, no-obligation insurance quote and have products to meet a variety of typical personal insurance needs such as auto, boats, valuable items, personal umbrella, recreational vehicle, condominium, dwelling fire, homeowners, renters wedding, mobile home and flood. Call us at (800) 283-2328, ext. 5218 or 5245. A little advance planning right now can make a potential disaster a lot less stressful.